Oklahoma’s state bird is the scissor-tailed flycatcher. Its state flower: The aptly-named Oklahoma Rose. Its state tree: The Eastern redbud. But you know what Oklahoma doesn’t have yet? A state steak. But one man seeks to correct that oversight. The ribeye steak is hereby designated and adopted as the state steak of the State of Oklahoma. Sooners are going to have to wait though; if passed, this act wouldn’t go into effect until Nov. 1, 2019. According to news station KFOR, though, not all Murdock’s constituents think this, erm, legislation is the most prudent use of his efforts. But Murdock—a rancher himself—contends a state steak would be beneficial to the restaurant industry, tourism, and morale. “We get beat up on different issues; we’re last in education, we’re last in this and that, and we need to promote what is good in that state also,” he told KFOR. He acknowledges it’s a bit of a “cheerleading bill,” but says it would promote the state’s agricultural industry. The Tulsa World reports Murdock also says it would boost commerce. “They could be working on education instead of thinking about steak names,” Oklahoma resident Brent Thrasher tells KFOR. 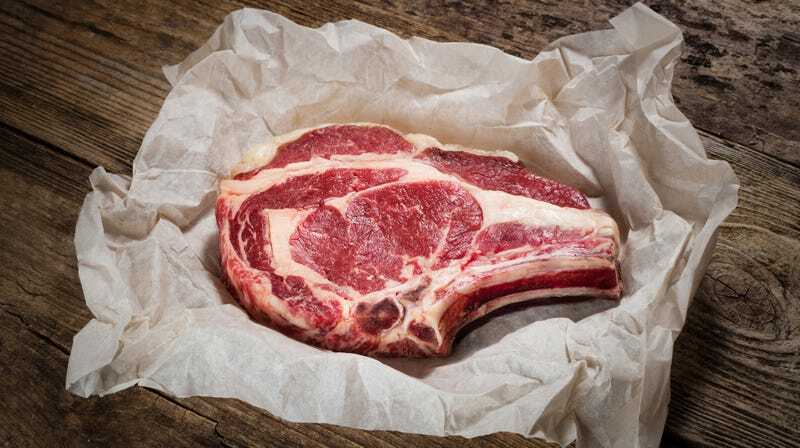 It is not immediately clear whether SB21 would choose between bone-in or standard ribeyes, or encompass both. A vote to pass this act has not yet been held.